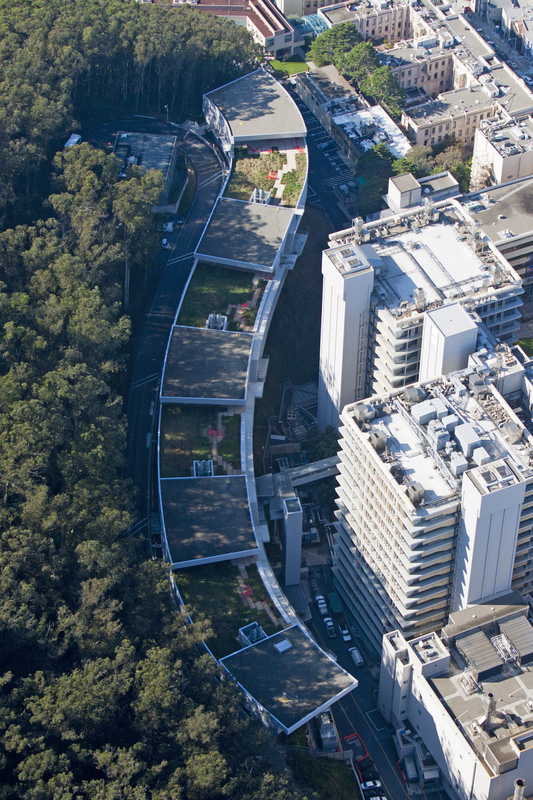 UCSF played a key role in understanding Embryonic Stem Cells since their discovery in 1981. 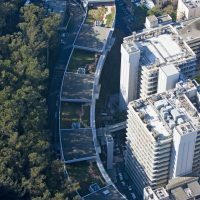 The purpose of the buildings 125 teaching labs is to continue basic research with an emphasis on developing actual clinical treatments for presently incurable diseases and debilitating injuries. 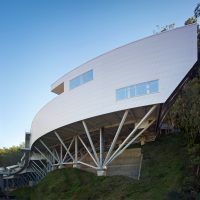 Unique Hillside Architecture – The building is literally on stilts, suspended in air, with a green roof. 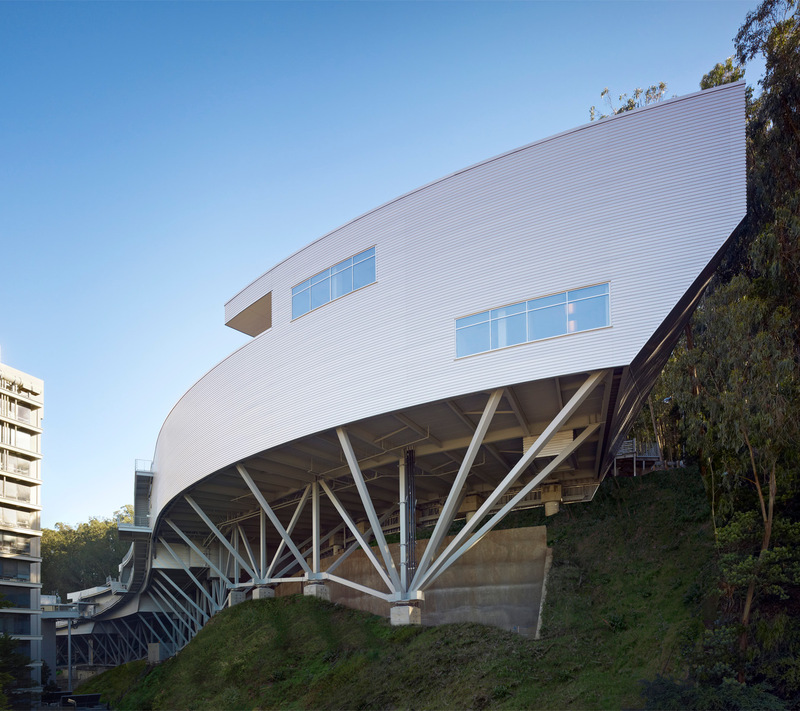 It is mounted on rollers that allow 18” of movement in any direction as a result of a seismic event. Sunbelt Controls’ goal in this design-build project was to maintain environment conditions, maintain spec airflow and pressure relationships for many interacting open and closed lab areas in the building, while also achieving high degrees of Energy Efficiency. To maintain proper air flow of the potentially toxic agents used in the labs, Sunbelt Controls used zone-based ALC controls to maintain set differences between the amount of air to meet temperature and humidity. Based on the lab classification, six air changes per hour were required. All this air must be heated and cooled, then exhausted. Variances were applied for, and received, that allowed air changes to be reduced in certain labs when no one was there. The nature of a research lab is that it is subject to intermittent but round the clock occupancy, creating scheduling difficulties. Sunbelt Controls installed occupancy sensors in each area. When people are present in the lab, the minimum six air changes are used. However, when no one is present the air changes are reduced to conserve heating, ventilating and cooling energy. The system actually maintains three setpoint and air change modes for each lab, based on occupancy and scheduling. In addition, the system transfers air from offices and conference rooms, when advantageous, to reduce heating and cooling. We monitored velocities on venturi style up blast fans, so that proper atomization of any potentially hazardous exhaust is achieved.